This year we wrap up the city's annual Caribbean festival at a brand new venue! 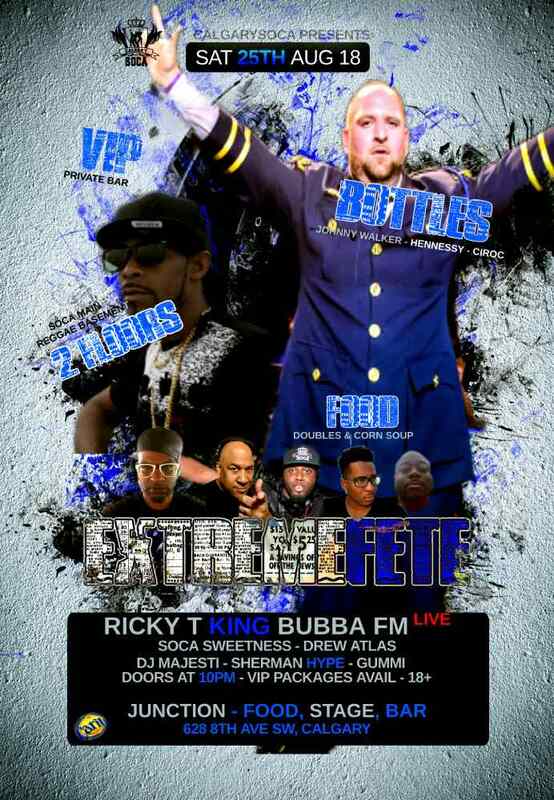 The "Extreme Fete" happens Sat Aug 25th 2018 at Junction - Food, Stage, Bar and the party just got bigger! 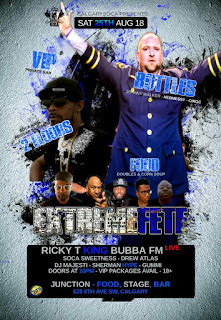 Last year's crowd favourite KING BUBBA FM returns and brings reigning St Lucia Soca Monarch RICKY T along with him! (**the originally scheduled Ultimate Rejects unfortunately can not make the originally agreed upon date) So now we doing it twice as hot! Take in 2 floors of music, a VIP private bar, food and more. Also with music by DJs Soca Sweetness, Drew Atlas, DJ Majesti, Sherman Hype and Gummi. Soca music fans know what to expect, and this year Reggae fans get a 2nd room in the same venue. Various packages available depending on how 'Extreme' you want to party! **You are also invited to join us on the road for the EXTREME section in the Carifest Parade! Register Now, pick up your official gear, and get ready to party to the full EXTREME!